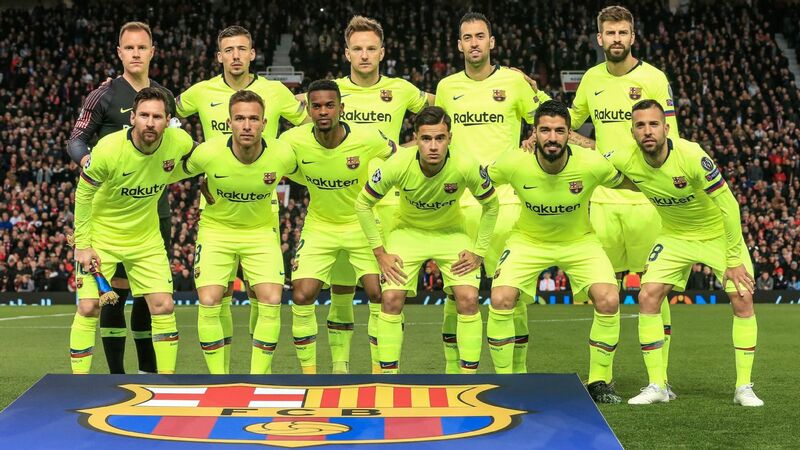 Craig Burley doesn't see a way back for Manchester United, even though they limited Barcelona to just one goal at Old Trafford. 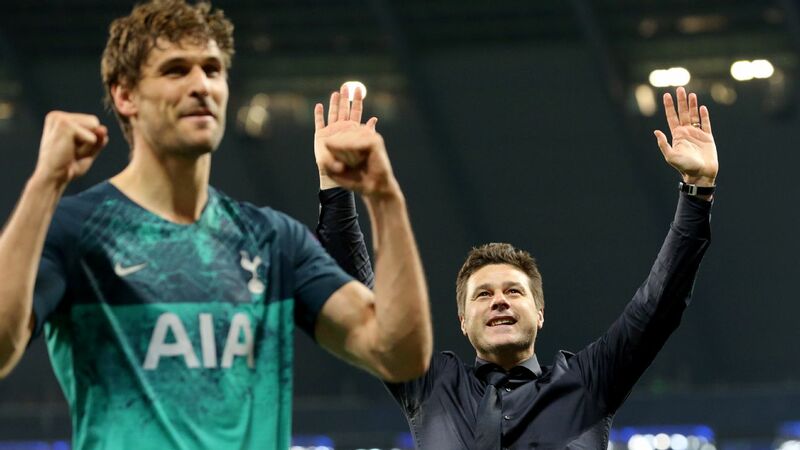 While Harry Kane's injury is a major concern for Tottenham, Craig Burley says it could also be a curveball for Pep Guardiola and Manchester City. 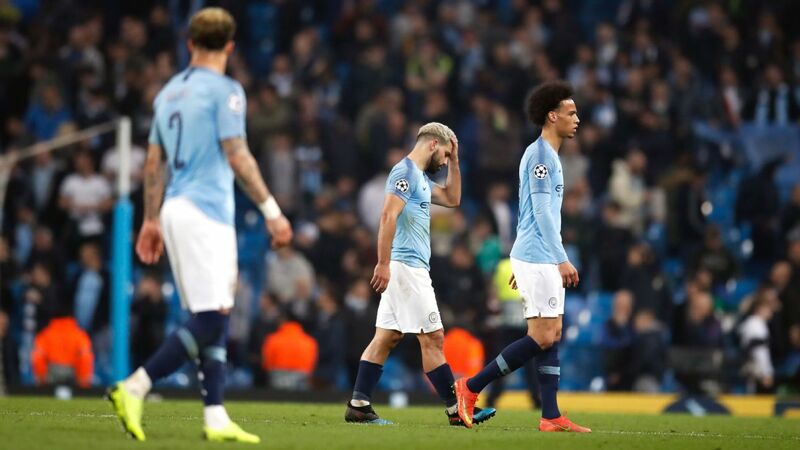 We're no longer surprised when Pep Guardiola names a starting XI that doesn't quite make sense on paper -- but too often in Champions League away legs, it doesn't make sense on the pitch either. On Tuesday, Guardiola surprisingly omitted Kevin De Bruyne, only summoning him from the bench with a couple of minutes remaining. He also left out John Stones, and City looked extremely nervous when attempting to play the ball out from defence. Meanwhile, Riyad Mahrez started ahead of Leroy Sane despite enduring a difficult couple of months. It was hard to see any logic behind the selections. City were meek throughout. 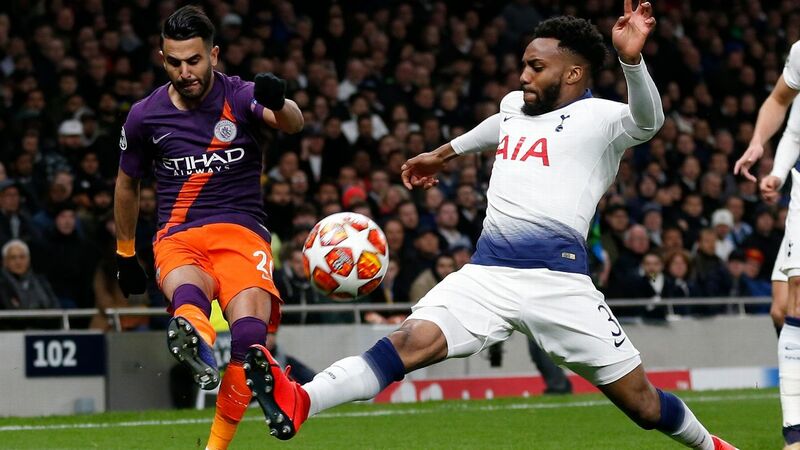 Things might have been different had Sergio Aguero converted his first-half penalty, but even that arose from a charitable VAR decision, and wasn't an outright chance that City had manufactured. They enjoyed plenty of possession, but the majority of it came in deep positions, with no one progressing the ball into the final third. Guardiola has now heaped pressure on himself ahead of next week's second leg, where his starting XI will be even more heavily scrutinised. It seems remarkable to say this about a manager who won this trophy in two of his first three attempts, but if City are eliminated next week, it will be seven Champions League campaigns in a row for Guardiola without reaching the final, despite consistently coaching one of the favourites. It would only be right to question his approach to knockout ties, particularly in terms of tactics. Having switched between 4-4-2 and 4-3-3 for most of the campaign, it was a surprise to see Porto play with a three-man defence at Anfield. Liverpool manager Jurgen Klopp admitted that it came as a complete surprise; having scouted several Porto matches, not once had they deployed that system. Sergio Conceicao faced a barrage of questions in his postmatch news conference about the change in shape, from Portuguese journalists who seemingly found the system too defensive. The formation is generally considered 3-4-3 in attack but 5-4-1 in defence, although for long periods Porto's shape appeared somewhere in-between: 5-2-3. 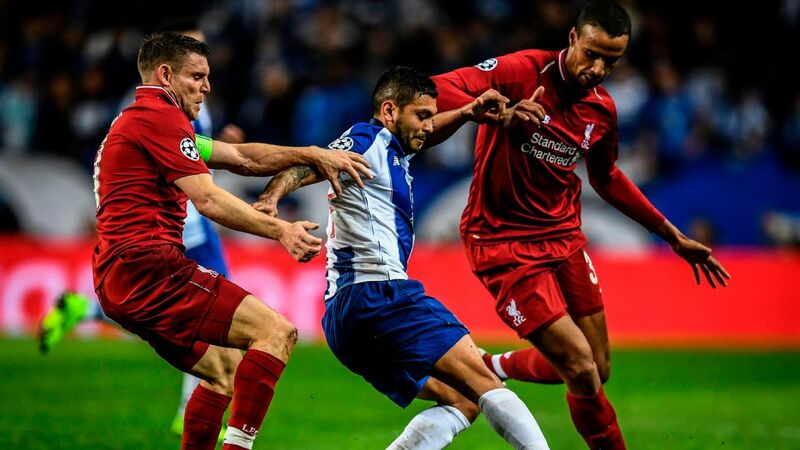 The wing-backs retreated quickly into a back five, but Porto's front three had little interest in tracking back when Liverpool bisected their press, which left them undermanned in midfield. Liverpool exploited this weakness well. 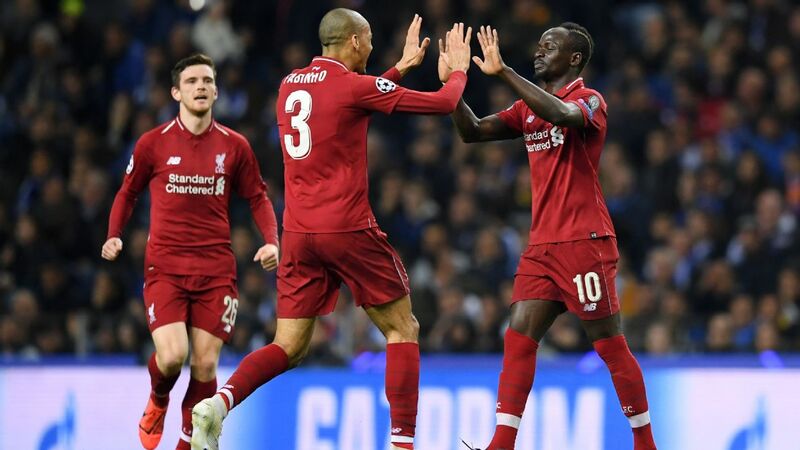 With a new-look midfield of Fabinho, Jordan Henderson and Naby Keita -- the first time they've started together in a 4-3-3 -- Liverpool retained the ball in the centre of the pitch well, switching play between the channels, and working Porto's trio of Danilo and Oliver Torres hard. Torres, in particular, endured a difficult game. Liverpool's goals were well-worked, the first after Keita pushed forward to the edge of the box and his deflected shot looped in off Torres, and the second after Henderson's disguised pass released Trent Alexander-Arnold and his ball across the face was converted by Roberto Firmino. Losing 2-0 isn't a disaster for Porto, and they had some chances, but you suspect Porto will return to a back four next week. Before his side's contest with Juventus, Ajax manager Erik ten Hag refused to entertain any questions about how he would look to cope with Juve's individuals. The key, he said, was keeping possession. For as long as they did that, they wouldn't have to worry about Juve's attacking threat. It was an answer straight out of the Ajax playbook. Yet of course, it doesn't entirely make sense; you can have possession for 90 percent of the game, but you've still got to plan for the other 10 percent. Ajax were equally impressive without possession, with Ten Hag effectively asking his players to man-mark in midfield. Frenkie de Jong dealt with Rodrigo Bentancur, and Lasse Schone watched Blaise Matuidi. But the most impressive marking job was performed by Donny van de Beek, who pushed up on to Miralem Pjanic, followed him across the pitch throughout the game, and constricted Juve's key deep-lying playmaker. The Bianconeri instead were forced to hold on to the ball for long periods in defence without progressing it over the halfway line. 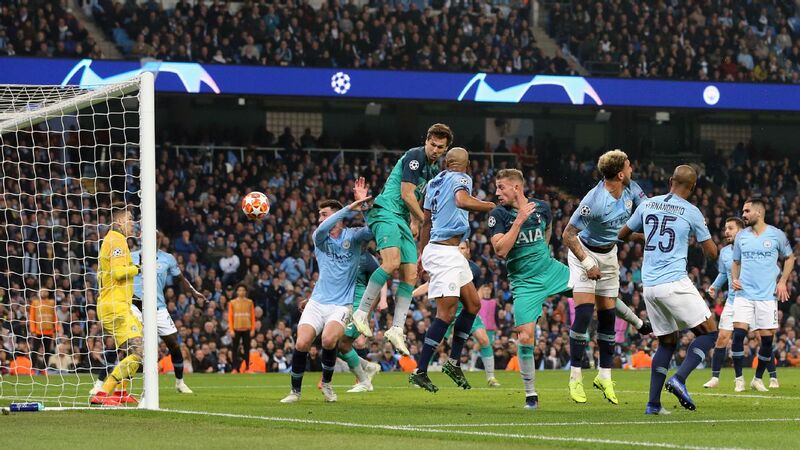 What was most impressive, though, was that Van de Beek offered something going the other way. The problem with man-marking when out of possession is that you find yourself close to your opponent at turnovers, but Van de Beek's spatial awareness and good forward running meant he continually found himself in good positions as Ajax attacked, and he narrowly curled the ball wide with the game still goalless in the first half. 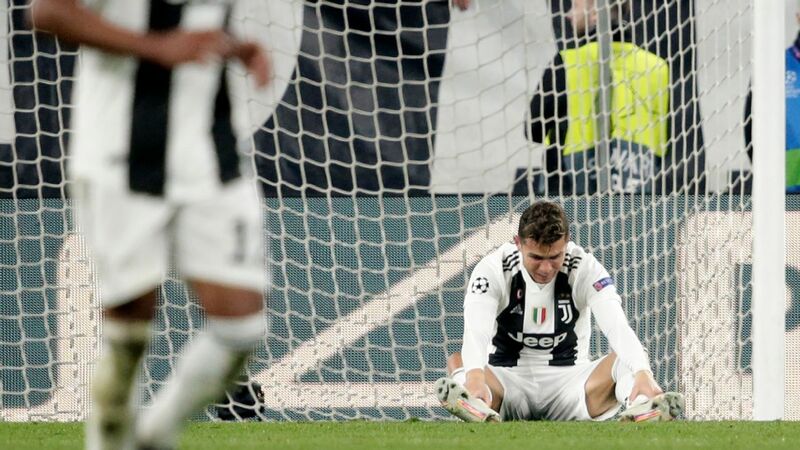 The game's telling moment came in the second half, when Ajax launched a break, and Pjanic tried -- and failed -- to take out Van de Beek with a cynical foul on the break. Pjanic, and Juve, had been rattled by Ajax's youth, mobility and tactical intelligence. 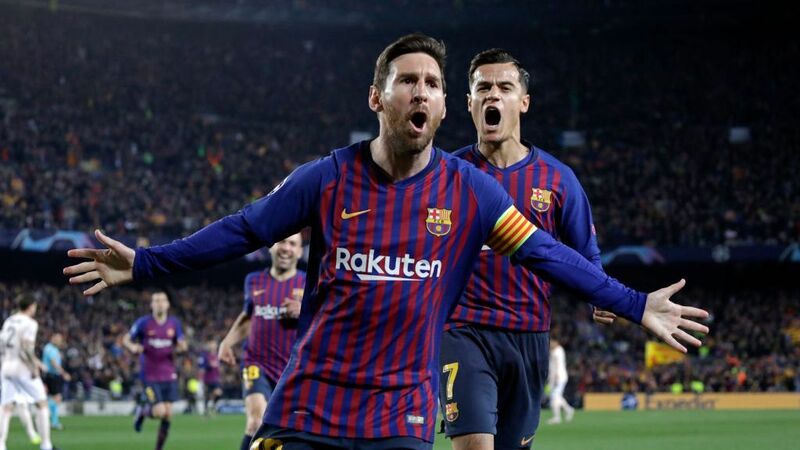 Setting up a team to shut down Lionel Messi is a thankless task, especially considering the limitations of Manchester United's defence. 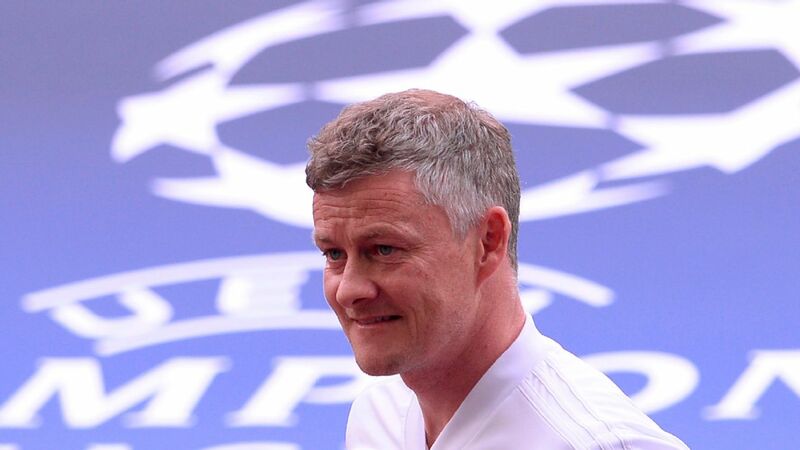 But, having constantly preached about playing "The United Way" and insisting upon attack-minded football, it was something of a surprise to see Ole Gunnar Solskjaer change formation for the visit of Ernesto Valverde's side, moving to a 5-3-2 formation. 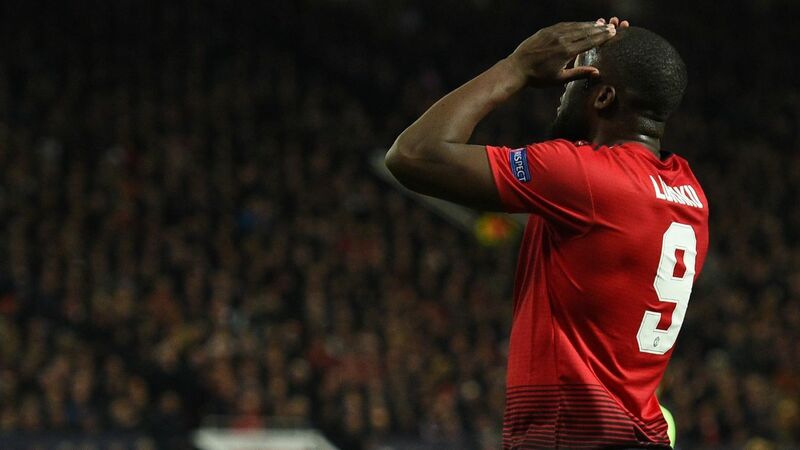 It was especially surprising because this meant re-deploying Luke Shaw as a left-sided centre-back, a week after the experiment with Ashley Young as a right-sided centre-back away at Wolves ended in a red card and a United defeat. It's become increasingly common to see full-backs tucking inside to play as part of a three-man defence: Chelsea's Cesar Azpilicueta did it brilliantly under Antonio Conte, and Kyle Walker made the shift well for England at last summer's World Cup. Shaw, however, looked desperately uncomfortable. 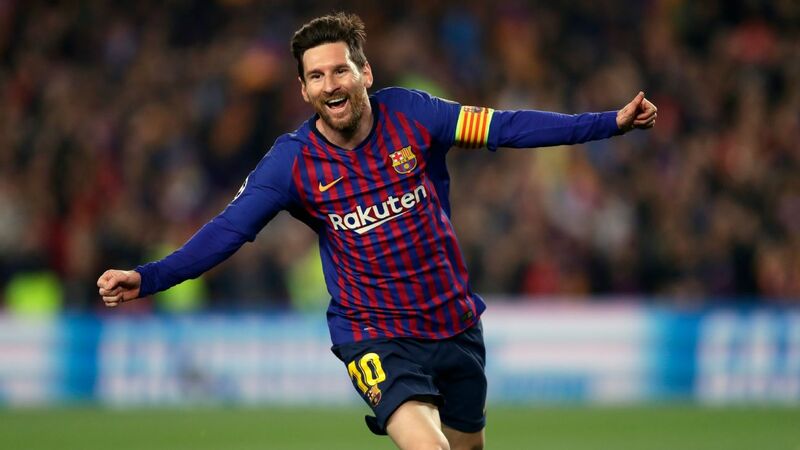 Shaw was slightly unfortunate to turn the ball into his own net for Barcelona's opener, after Luis Suarez's header across goal deflected off his shoulder and bounced in, but Shaw had lost Messi in the build-up to the goal, allowing the Argentine to collect Sergio Busquets' chip over the top and then cross. Things didn't particularly improve afterwards. 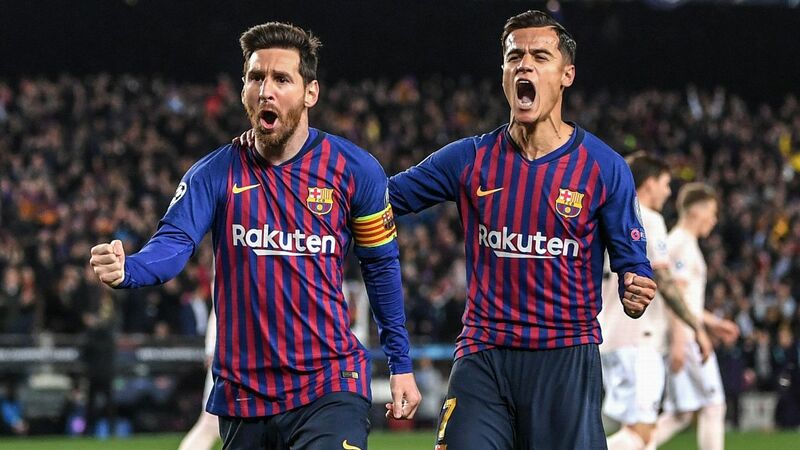 He lost Suarez midway through the second half, when the Uruguayan should have done better than thumping the ball into the side-netting. 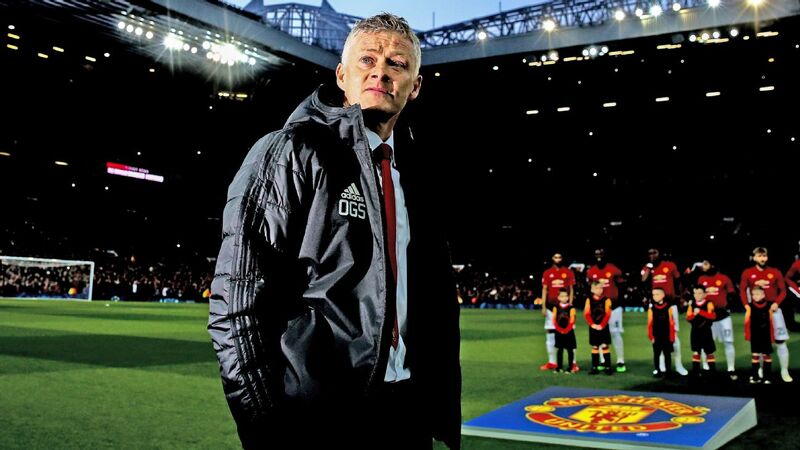 A first-half booking, meanwhile, means Shaw will be unavailable for the second leg, which might be a blessing in disguise for United, if it convinces Solskjaer to name a less cautious system. 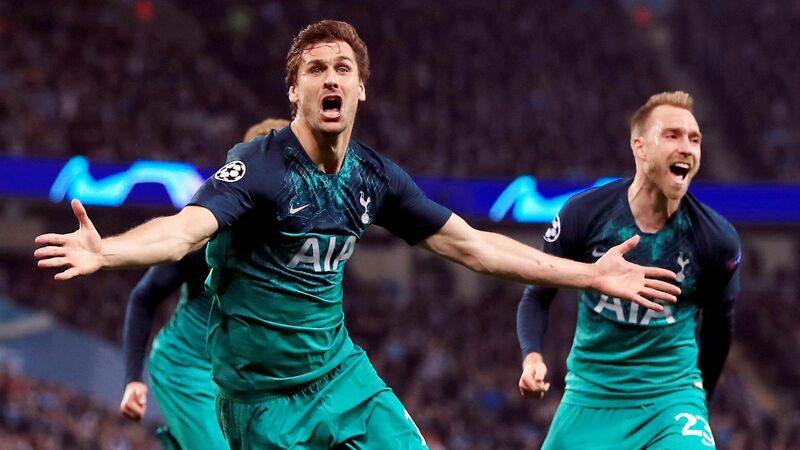 Having not managed a shot on target in the first leg, it's not simply about trying to turn the tie around for United, but also about proving their attacking intent.